A water tank is an important investment and asset for most families and businesses. American Highline tanks have been engineered and designed to stringent quality standards to ensure your water tank is one of the best available. American Tank is committed to outstanding product quality and total customer satisfaction. BH Tank brings over 75 years of experience in the water storage industry. The BH Tank name is already synonymous with quality and reliability. As part of American Tank Company, our customers now receive the added benefits of our combined experience and technologies. American Highline tanks are manufactured in the USA and installed by factory qualified distributors and in-house crews to ensure you are provided with excellent service. 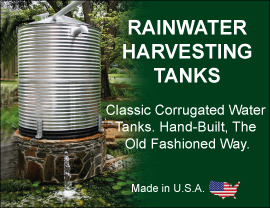 The quality, value and versatility of the American Highline water tank makes it the ideal choice for many applications, including commercial, residential, agricultural and rainwater storage purposes. Why Choose American Highline Water Tanks?